assistance. The evidence is irrefutable. But are we overlooking something better? health risks such as cancer and cardiovascular disease. As a Weight Loss Expert, it has been my primary goal to share practical tips and tricks for those pursuing optimal health. In upholding my obligation to transparency, I am about to reveal how green tea, although beneficial, is gradually losing value in the light of its delicious rival – rooibos. substances to that of green tea. 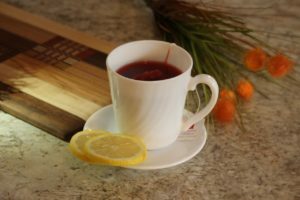 The antioxidants contained in rooibos – aspalathin and nothofagin – are comparatively rare, and help to regulate blood sugar, reduce excessive fat production, stress, and inhibit metabolic disorders.